Kola Nut (Cola Nitida) other names: Arbre à Cola, Arbre à Kola, Bissey Nut, Bissy Nut, Cola acuminata, Cola nitida, Guru Nut, Gworo, Kola Nut, Kolatier, Noix de Cola, Noix de Gourou, Noix de Kola, Noix du Kolatier, Noix de Soudan, Noix du Soudan, Nuez de Cola, Soudan Coffee, Sterculia acuminata, Sterculia nitida. Kola nut is actually the fruit of the kola tree. This is an evergreen tree that is a shade bearer. In other words, trees of this species like to grow under the canopy of larger trees. Kola tree grows up to a height of anything between 9 meters and 12 meters and occasionally even reaches 27 meters. The trunk is up to 1.5 meters across having slender prop ups that are often lengthened to 1 meter in older trees. In many cases, the buttresses are absent and the trunk is not erect all the time and is tubular. The bark of Kola has a grayish or grayish brown hue and is coarse having fissures that run lengthwise. The bark of Kola exudes a sap that is pinkish red and fibrous; its color darkens to brown when exposed to air. Kola tree bears simple leaves that appear alternately having petioles that are about 1.2 cm to 10 cm in length. The shape of the leaves vary from more or less oblong to broadly oval, while the apex is unexpectedly and curtly pointed (acuminate). At the base, the leaves are either rounded or having rounded tip. The margins are wavy either hairless or somewhat without bristles. They have deep green nerves on the sides measuring about 6 cm to 10 cm. The flowering part of Kola is an auxiliary and appears as haphazardly split panicles that are about 5 cm to 10 cm in length - much smaller in length compared to the leaves. The flowers of Kola have only one reproductive part (unisexual), comprising five parts, but do not have any petals. The male flowers of Kola are about 2 cm in diameter and their calyx is cup-shaped. They are intensely lobed with several stamens and appear in two whorls. On the other hand, the calyx of the female flowers is approximately 5 cm in diameter having five carpels and several simple anthers at the bottom. The fruits of the kola tree are oblong or oval shaped appearing in sacs that measure about 13 cm x 7 cm. They are green hued, glossy on the surface, have a smooth texture, but lumpy having large nodules. As many as four to eight seeds appear in each carpel and they are oval or semi globoid in shape. The kola nuts are extremely thick and hard and they are found in a range of colors. Maroon, deep brown and brown are the most common colors of kola nuts. Each kola tree produces approximately 120,000 nuts annually. Kola nuts may be consumed in a number of ways, including eating them separately, employing them in the form of a spice as well as using them in soda beverages. In Africa, the native of the kola trees, people use the Kola nuts in the form of an exchange medium. In addition, local labourers also chew the kola nuts with a view to lessen the feeling of hunger as well as exhaustion. They also chew small portions of Kola the nuts having an astringent flavour prior to having their meals to facilitate digestion of the food. People in Brazil and the West Indies use the Kola nuts in the form of a herbal medication to treat diarrhea, hangover and intoxication. People belonging to the Igbo tribe of south-eastern Nigeria use the kola nuts in a variety of their social ceremonies. In effect, one of the major visitation rituals followed by these tribes includes presenting a plate of kola nuts. The Kola tree has its origin in the tropical rainforests. Kola tree requires a hot and humid climate to thrive, but also has the aptitude to tolerate an arid season when growing in places where the ground water level is somewhat high. It is also possible to cultivate Kola in more arid regions where ground water is accessible relatively easily. Kola tree usually provides shade and likes to grow under the canopy of larger trees, but thrives better and its branching crown bears more fruits when cultivated in open spaces. While Kola is usually a forest tree of the plains, it has also been found to grow naturally at places higher than 300 meters above the sea level, especially on deep, fertile soils and in places receiving plenty of uniformly distributed rainfall. Kola nut is the seed of the cola nut plant. Kola nut is used widely in Nigeria and many West African countries as part of traditional hospitality, cultural, and social ceremonies. Kola nut is also used to make medicine. Kola nut is used for short-term relief of fatigue, depression, chronic fatigue syndrome (CFS), melancholy, lack of normal muscle tone (atony), exhaustion, dysentery, a type of diarrhea called atonic diarrhea, weight loss, and migraine headaches. The kola nut is native to Africa, and earlier Kola nut was extensively used for manufacturing carbonated soda. In contemporary times, kola nuts are mainly employed in the form of a dietary supplement in producing formulas for weight loss and energy. Nevertheless, it is suggested that before you take any dietary supplement containing kola nuts, you need to undertake the basic preventative measure with a view to keep away from developing the side effects caused by the excessive use of these nuts as well as problems which are likely to occur owing to medical conditions that you might be enduring from before. Kola nuts provide us with several benefits and some of them are discussed below. Kola nuts are also believed to enhance the essence of any food consumed after eating it and also have the ability to turn rancid water into pleasant water. Kola nuts are dried, pounded into a powdered form and applied to cuts to heal them quickly. Kola nut is also known to be effective for treating hypertension as well as in combating several types of toxins. Kola nut is also employed in the form of a useful medication to treat venereal ailments, rheumatism, infections of the urinary tract, congestive heart failure as well as hepatitis. In foods and beverages, Kola nut is used as a flavoring ingredient. There was a time when the kola nut formed the major ingredient in all cola drinks. Kola nut is likely safe for most people when consumed in amounts found in foods. Kola nut is possibly safe when taken by mouth in medicinal amounts, short-term. The caffeine in Kola nut can cause insomnia, nervousness and restlessness, stomach irritation, nausea and vomiting, increased heart rate and respiration, and other side effects. When Kola nut is used medicinally in larger amounts or for a long period of time, it is possibly unsafe. Chewing Kola nut is associated with an increased risk of mouth cancer and gastrointestinal cancer. Also, due to its caffeine content, large amounts of Kola nut might cause headache, anxiety, agitation, ringing in the ears, and irregular heartbeats. Stopping the use of caffeine suddenly can sometimes result in headaches, irritation, nervousness, anxiety, and dizziness. Taking Kola nut by mouth in very large doses is likely unsafe due to its caffeine content. Very high doses of caffeine can cause death. The fatal dose is estimated to be about 10-14 grams; that’s 150-200 mg of caffeine per kilogram of body weight. 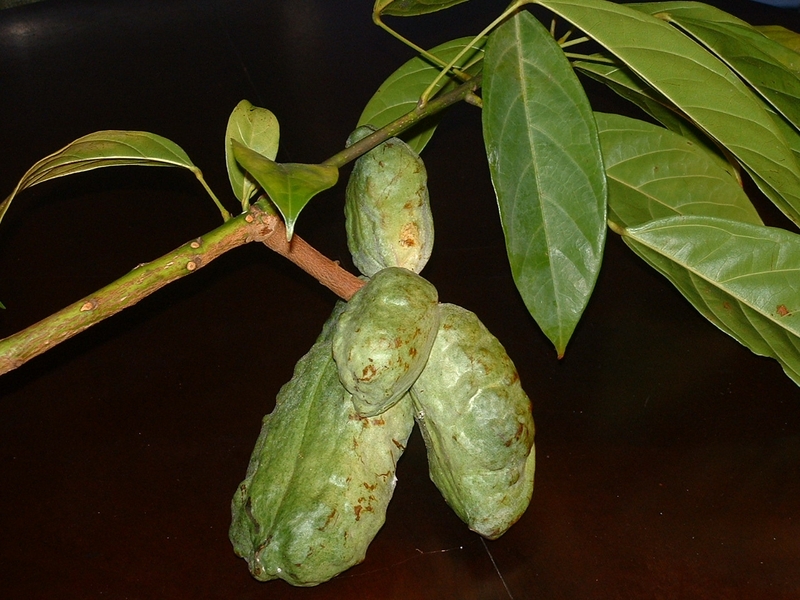 Children: Kola nut is likely safe for children when taken by mouth in amounts found in foods. Pregnancy and breast-feeding: Kola nut is possibly safe when consumed during pregnancy and breast-feeding in food amounts. But larger amounts are possibly unsafe, as larger doses might provide too much caffeine for both pregnant and breast-feeding women. Mothers should keep caffeine consumption below 200 mg per day. This is similar to the amount of caffeine found in about 2 cups of coffee. Consuming larger amounts during pregnancy might increase the chance of miscarriage, early delivery, and low birth weight. Caffeine passes into breast milk, so nursing mothers should closely monitor Kola nut intake to make sure it is on the low side. Caffeine from Kola nut can cause sleep disturbances, irritability, and increased bowel activity in breast-fed infants. Anxiety disorders: The caffeine in Kola nut might make anxiety disorders worse. Bleeding disorders: Kola nut contains caffeine, which might slow blood clotting. This makes some experts worry that Kola nut might make bleeding disorders worse. Heart conditions: Caffeine in Kola nut might cause irregular heartbeat in certain people. Use Kola nut with care if you have a heart condition. Diabetes: Kola nut contains caffeine. Some research suggests that caffeine may affect the way the body uses sugar and might worsen diabetes. But the effect of caffeinated beverages and herbs has not been studied. Use Kola nut with caution if you have diabetes. Diarrhea: Kola nut contains caffeine. Caffeine, especially when taken in large amounts, can worsen diarrhea. Glaucoma: The caffeine in Kola nut might increase pressure inside the eye. The increase might occur within 30 minutes and persist for at least 90 minutes. High blood pressure: The caffeine in Kola nut might increase blood pressure in people with high blood pressure. However, this doesn't seem to occur in people who regularly consume Kola nut or other products that contain caffeine. Irritable bowel syndrome (IBS): Kola nut contains caffeine. Caffeine, especially when taken in large amounts, can worsen diarrhea and might worsen symptoms of IBS. Weak bones (osteoporosis): The caffeine in Kola nut might increase the amount of calcium that is flushed out in the urine. If you have osteoporosis or low bone density, caffeine should be limited to less than 300 mg per day (approximately 2-3 cups of coffee). It’s also a good idea to get extra calcium to make up for the amount that may be lost in the urine. Older women with an inherited disorder that affects the way vitamin D is used should use caffeine with caution. Vitamin D works with calcium to build bones. Surgery: Kola nut might affect blood sugar levels. There is a concern that it could interfere with blood sugar control during and after surgery. Stop using Kola nut at least 2 weeks before a scheduled surgery.